for the Game Boy to celebrate the console's 30th anniversary. if you're running a Windows PC. may therefore not appeal to a casual audience. Free download and more information found here. Wonder how big the hitbox is on the ship, unless there was a cheat used to capture footage, seems to run into a lot of bullets with no damage? The player hitbox is outlined in the manual. Yeah hitbox covers only the cockpit, which is one pixel big! 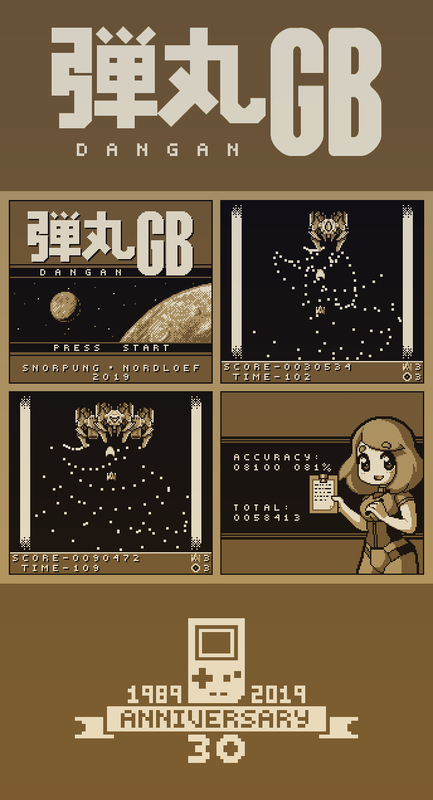 Did the gameboy have any other bullet hell games? No, I think this is as close as you get on a Gameboy. No worries, thanks for playing at least! There’s ZAS on Hard Mode, but I still wouldn’t class it as bullet hell really. The game looks great though, I can’t wait to try it! ZaS is a great shmup! If I recall correctly it can have up to 27 projectiles on screen during bosses, less of course during stages. Our game can have 128 software-sprite projectiles on screen at once in addition to the normal 40 sprites that comes stock. They are two completely different games though.